IGNITION Mobile will bring together people who are evolving and disrupting mobile to discuss what's happening now, what's next, and how it affects your business. Which platforms, products and business models will dominate? Find out at IGNITION Mobile. Topics include: Mobile platforms & consumer behavior; next-generation devices and services; who owns the Internet after search; the future of publishing, film and television on mobile; investing in mobile and mobile content; the gaming marketplace. 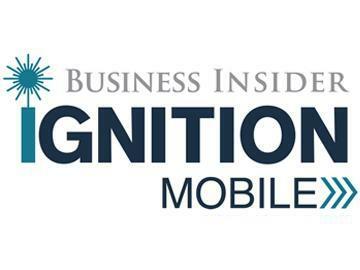 IGNITION Mobile is the sister event to the IGNITION conference on the Future of Digital. Prior IGNITION West speakers include: Kevin Systrom, Ben Horowitz, Sarah Lacy, Travis Boatman, Laura Arrillaga-Andreessen, Don Dodge, Peter Vesterbacka, and more. If you must cancel for any reason you must notify us in writing by March 1, 2013, for a refund less a $100 processing fee. Cancellations received after March 1, 2013, are non-refundable. You may transfer your registration to another person by March 15, 2013, by providing authorization to us at events@businessinsider.com. Confirmed and paid attendees who do not attend or who cancel after the deadline are liable for the entire fee.